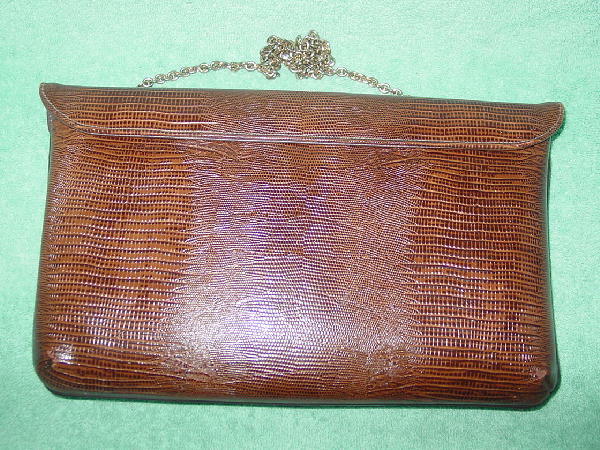 This brown lizard leather purse has an envelope styling. There are 3 gold-tone ornaments on the flap, which has a magnetic closure. 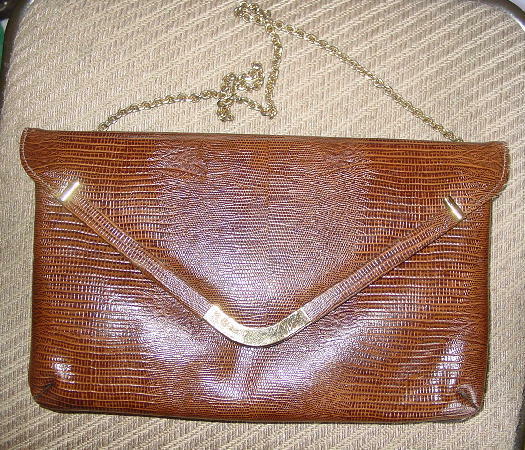 It has a 29" long gold-tone loop shoulder strap which you can tuck in so you can carry it as a clutch. 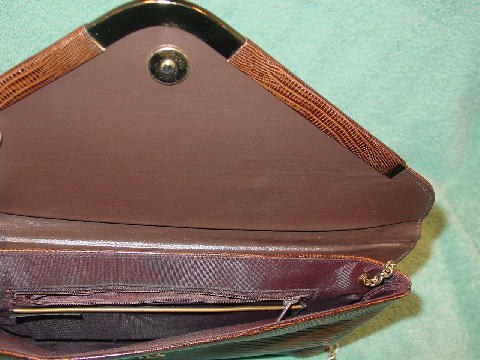 There is a brown fabric lining with one inner gold-tone edged open pocket and an interior zipper pocket. It's a classy looking purse that looks expensive. It belonged to a Brazilian model.